Sincerus Capital is a Western Canadian based real estate investment company, headquartered in Winnipeg, Manitoba. We provide eligible and accredited investors with another option to diversify their portfolio beyond traditional investments, such as stocks, bonds and guaranteed investment certificates. Our objective is to source quality real estate properties, and create a simplified investment structure that allows an individual investor with as little as $10,000 to participate in the cash flow and growth potential of real estate. 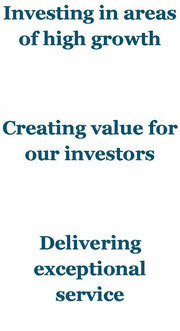 We create value for our investors through simple, yet effective concepts. You worked hard for your money, now it's time to let your money work for you. Properties are acquired at their purchase price, plus applicable aquisition fees. Management is aligned with investors through performance based incentives. Prudence and care in our cost management maximizes potential returns for our investors.